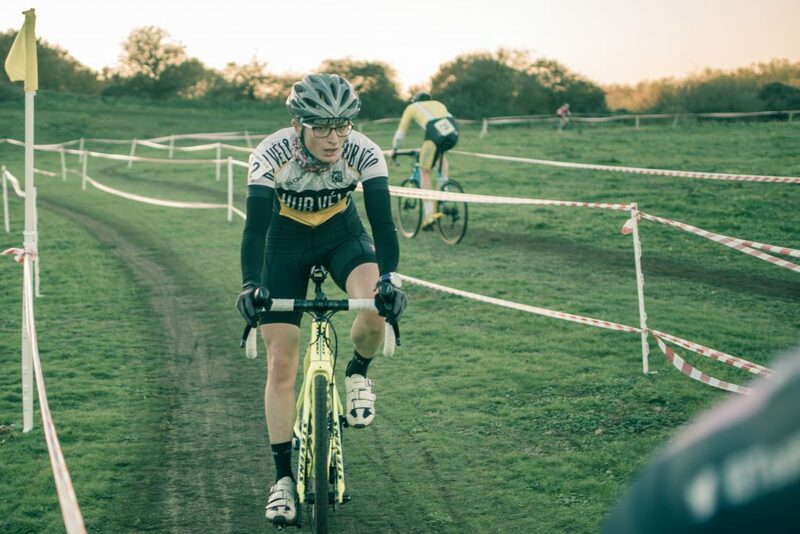 This week saw HVCC riders in action on the road and dirt all over the place. With this volume of riders out in mid-November we can only imagine what next summer will bring. 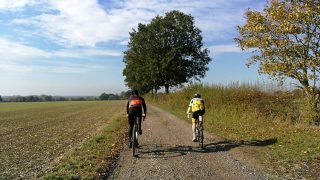 With rider-reporters all over the South East and an intrepid photographer cycling over a 100km to snap away in a freezing field we bring you this week’s round-up. So it was a super windy day, blowing from east to west. There were thirty-five entrants in total on the start with four HV riders lining up – James, Kai, Simon and myself. It was a cat 3/4 set up. It was a really surgey and sketchy race – there was basically always at least one break away on at any point (literally starting from lap one). I went on four breaks in total, one of them being a three man break away for two laps, but none of them really getting more than fifteen seconds ahead. James also had a couple of decent breaks too (we had one together but was quickly dealt with). Unfortunately due to the four of us being in HV jerseys it was pretty obvious when we tried a couple of moves early on, the bunch not letting anything go without a fight. Whilst James and I were recovering from the yo-yo-ing between breaks, a four man break away got away and managed to stay away. At this point me and James were flat out knackered so couldn’t go with it, and the feeling in the bunch with three laps to go was very much about a sprint finish (that’s what was on Kai’s mind all day). Leading into the final lap the pace kicked up as usual and the bunch became very sketchy, with lots of people hunting for points before the end of the season in two weeks time; there was deffo a feeling of desperation. 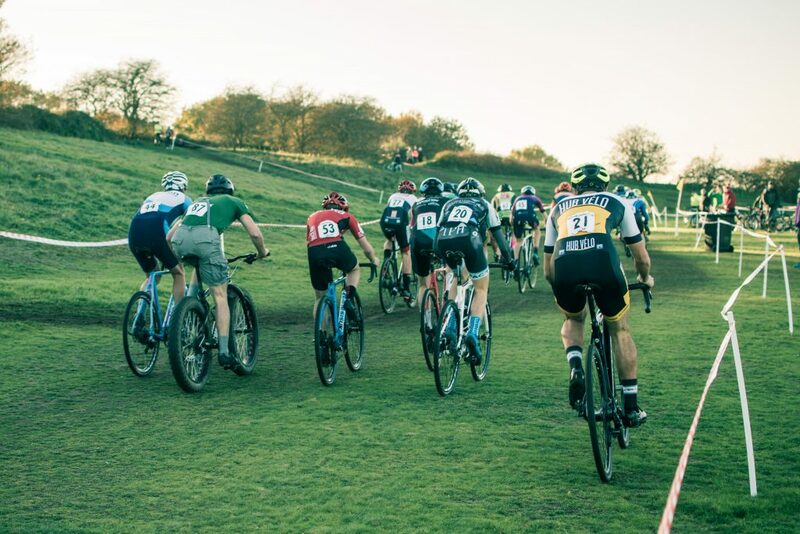 Lots of handlebars knocked into each other, tyres buzzing against one and other and many folk shouting and attacking lines that didn’t exist – the last couple laps were madness. Heading around the final bend of the race I was unfortunately in the worst position – at the front, however one guy out of nowhere started the sprint very early so I was able to follow and catch his wheel. He slowed so I pulled out and went out at it, unfortunately running out of steam about 10 metres shy of the line for 4 others to take it in front. Kai was about 10 inches behind me crossing the line and James a couple positions further back. Simon got trapped the wrong side of the bunch, but still finishing off a few riders at the back of the pack on the final straight. Overall James got 12th, Kai got 10th I got 9th and Simon got around 25th. It’s a shame that four man break got away – but still an exciting finish for the remainders. There was a nice moment early on, albeit short-lived, when we managed to get all four of us on the front in Hub Velo jerseys but I don’t think anyone got any photos unfortunately. That effort pretty much did me in for the rest of the race but Leo, James and Kai were all up at the front scrapping for position and James was part of a strong two-man attack that took some pulling back. Leo and Kai edged into the points in 9th and 10th in the sprint after a late breakaway escaped to contest the win. I rolled in a breathless 30th out of 35! 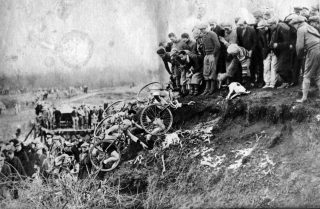 Meanwhile in far flung fields of Southern England people hurled themselves wholeheartedly into Cyclocross action.STOP PRESS..Big fines handed out to two leading Committee members for incomplete kit. See below and by the way Calvin will let you know what the fines are and more importantly how to pay them. Enrico was at the head of a big HV day out to Colchester. 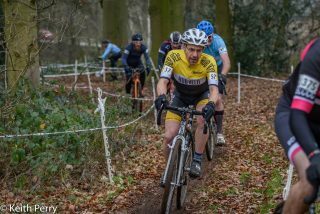 On Sunday the Eastern League CX reached its 10th round of the year, with the second one of this season at Hillyfields in Colchester. A slightly different course compared to the other race still maintained a similar vibe, i.e. plenty of wooded technical sections, loads of small and punchy climbs and not a dismount to be had. As for what pertains HV riders, there was a slight upturn in participation compared to the usual. Indeed, this week we had the addition of Eamonn and Jess, who both raced in the Senior/Junior race, and of Calvin, who rode his bike solo and through 105km of head wind to deliver masterful pictures and plenty of company in the van, on the drive back home. In terms of actual racing, things kicked off in the Youth categories, where Alessandro Sella finished in 13th position and reasonably pleased with his performance, while Olveri Griggs and Serafino Sella followed him in 20th and 31st, respectively with the increasingly impressive Jack Emerson splitting those two in 24th after a battle with a former teammate.. Anoushka slotted into 5th among the girls: not too pleased given the high standards she holds herself too, but a very solid result nonetheless. 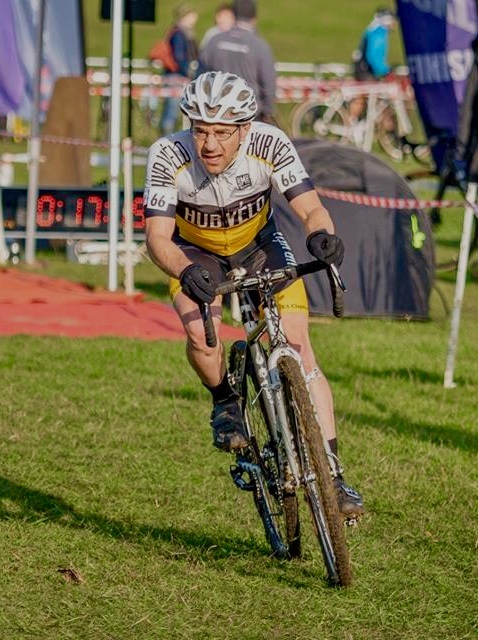 In the Vets50+/Women race, it was up to Jason Warre to fly the HV flag, and he did so by pushing on to an 8th position in the Vets 60+ category, and 64/96 in the general classification. As previously mentioned, we were slightly more than usual in the Senior/Junior race. Gary, with his eyes, preparation and lack of calories already aimed at next year’s TT season, was not feeling spritely, and finished 62nd after a long struggle with the track and his form. While the race feelings were not the best, he retained his position in the league standings, by a mere point over the 25th placed rider. 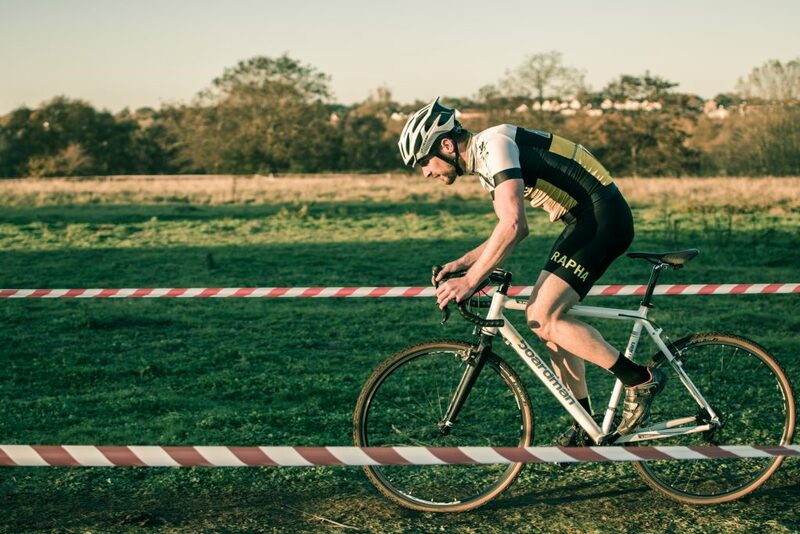 Eamonn rode a strong and consistent race, just before a brief – and fortunately inconsequential – crash in the last wooded section of his race. Not losing too much time, he was able to finish 44th. Jess, on the other hand, deserves an honorable mention for fighting it amongst the Men, even getting knocked down by a slightly overexcited rider in the front groups. Not giving up and keeping the chase on, she ended in 60th. Third to last in the standings, first in our hearts! Lastly, Enrico rode a conservative race, unable to mount a last lap chase on a small bunch due to getting lapped by a flying James Madgwick right before the end of the race, leading him to stop one lap earlier than he thought. Still very happy with his 25th position on the day, he solidifies a 14th overall in the league rankings, and thoroughly enjoyed the course and the dry and crisp conditions. In short, a very successful day, on a great course and with beautiful weather! Finally on Saturday in Central League Adam avoided fines this week as all will be revealed in this report from MK Bowl. 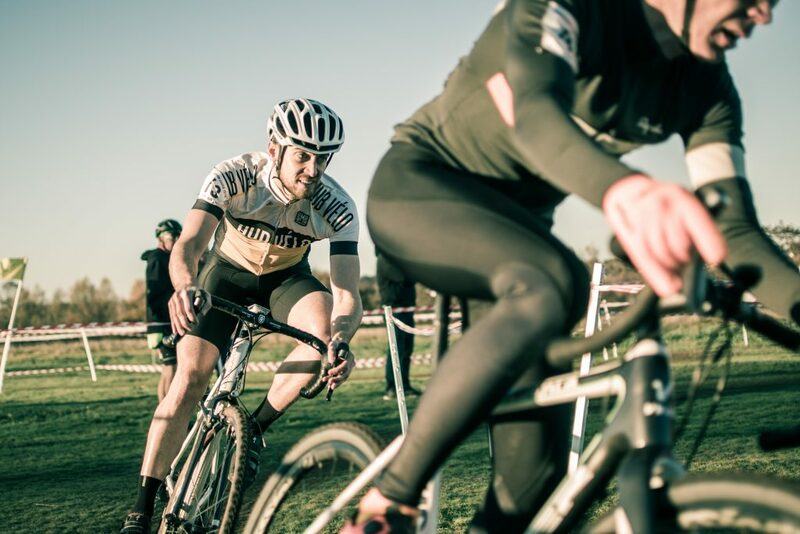 Please note correct pinning of arm numbers and full kit – just saying! No truth in the rumour that his number was 99 this week. A great week of racing remember there is always next week no matter how poorly you have raced! I was so bad this week that I have entered the V50s and the Seniors next Saturday in the Eastern League – an ambulance is on stand by at all my events. Thanks to this weeks roving riders, reporters and a big thank you to Calvin for his brilliant photographs.